In 1973, Kurt and Jo-Ann (from Hamilton, Ontario) were married in Downingtown, PA. They have two sons, Nikolas and Alexander. A Damon Runyon-Walter Winchell Postdoctoral fellowship in Cancer Research brought the family to the University of Utah Medical School in 1976, where Kurt began his teaching and research career as a Research Assistant Professor. In 1981, he accepted a faculty position in Oncology at the University of Arkansas for Medical Sciences, Dept. of Medicine. With numerous grant awards from the National Cancer Institute, the American Cancer Society, and the US Navy, he published more than 100 peer-reviewed research, review articles and book chapters, dealing mostly with the cellular stress response, thermotolerance, heat shock proteins, and stress-induced protein glycosylation - (partially listed at: https://www.researchgate.net/scientific-contributions/38755650_K_J_Henle). In 1989, he was promoted to Professor of Medicine in Hematology/Oncology and Professor of Physiology/Biophysics. Throughout his career he held positions as organist/choir director in a number of Christian denominations. In 1992, the Henles left the Episcopal Church and joined the Presbyterian Church in America (PCA), where Kurt held a position as Elder and music director at Covenant Presbyterian Church (PCA). In 1997 he and Jo-Ann helped to plant St. Thomas Reformed Episcopal Church in Little Rock, together with the Rev. Robert W. Bowman. In Jan. 2001, Kurt accepted early retirement as Professor Emeritus in the Department of Medicine and completed the M. Div. degree from Cummins Memorial Seminary in 2003 under the direction of the Rev. Dan Thornhill and Bp. Daniel R. Morse (REC). 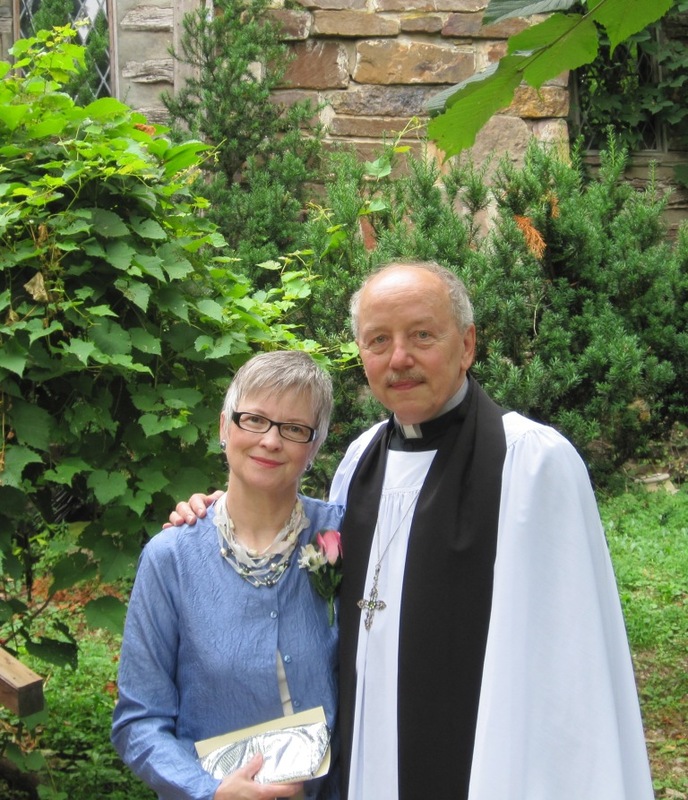 From June of 2003 until October 2008, Jo-Ann and Kurt worked in St. Louis to grow a new parish, Holy Trinity Anglican Church (History of Holy Trinity Anglican Church). The Henles then followed God's call to plant a new Anglican Mission in Traverse City, Michigan. 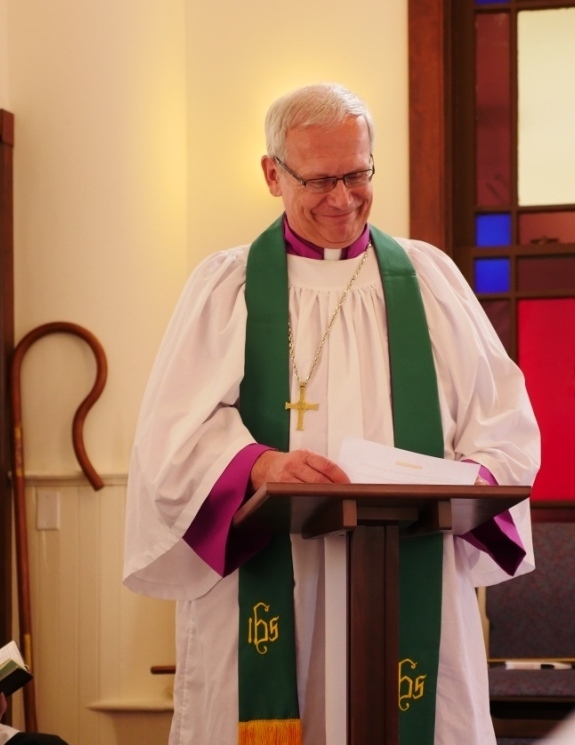 In November 2017 the Parish voted to affiliate with the United Episcopal Church, Diocese of the Great Lakes, as the jurisdiction most in keeping with Anglican theology, liturgy and traditions. This will assure continuity in the way we have served our Lord since our beginning in 2009. May God continue to prosper His work in every corner of the earth. Blessings in the name of our Triune God! Fr. Henle was born in Germany, and emigrated with his family to the USA as a teenager. He received the B.A. & M.A. degrees in Physics from the Universities of Bridgeport, CT, and Wisconsin-Madison, WI, concurrently minoring in organ music. Drafted out of graduate school, he served most of his military time in the US Army Nuclear Effects Laboratory at Edgewood Arsenal, MD. While stationed there, he was music director at Old Spesutia Church (St George's Episcopal) in Perryman, MD and was confirmed in the Episcopal Church in 1970. After the Army and a year of study at McMaster University in Hamilton, Ontario, he completed a Ph.D. degree in Bioengineering from the University of Pennsylvania, Philadelphia, in hyperthermia & radiation biology.